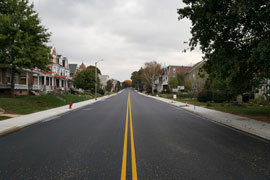 GVC provided complete design of the reconstruction and pavement resurfacing of Skyline Drive situated in the City of Reading, Lower Alsace Township and Alsace Township, Berks County. 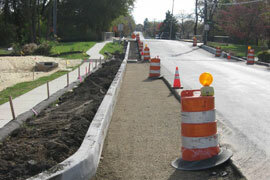 The project also included a separate pedestrian bike lane, storm sewer improvements and select wall rehabilitation. The project is being funded by DCED as a scenic Byway. GVC also provided construction phase services for the project.